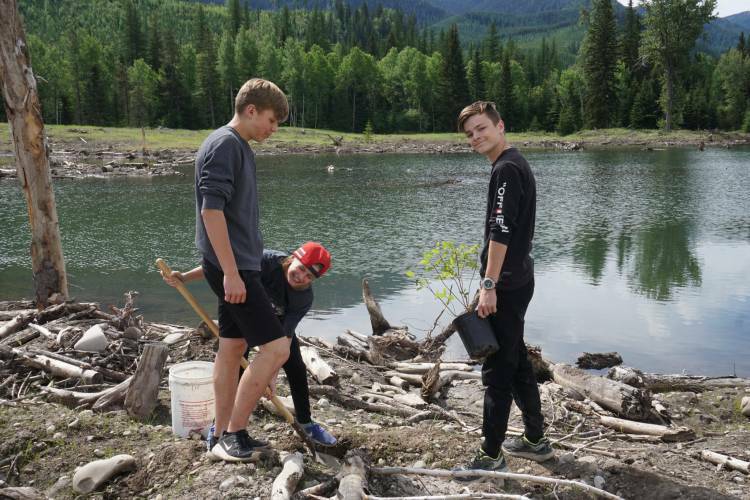 Last week, Julie Howard’s class from Fernie Secondary helped turn an old gravel pit in the Hosmer area into a functioning wetland. 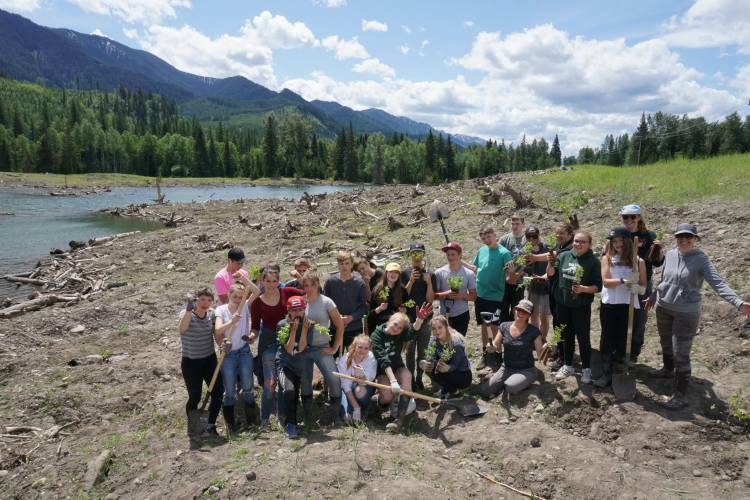 The project was a Deep Learning Project, part of Know Your Watershed, a program of the Columbia Basin Trust, administered and managed by Wildsight. After learning about nutrient cycles and some of their disruptors, the students visited an intact wetland near their school and learned about the environmental, social and economic ways in which wetlands are valuable. They used dip nets to get an up-close look at what lives and lurks in the wetland in their wild backyard. Taking this learning with them, they went out to the site of the old gravel pit near Hosmer. The Nature Conservancy of Canada and The Elk River Alliance are working together to turn it into a valuable wetland. The students contributed their hard work and enthusiasm to this project by planting and watering over 200 shrubs and plugs!